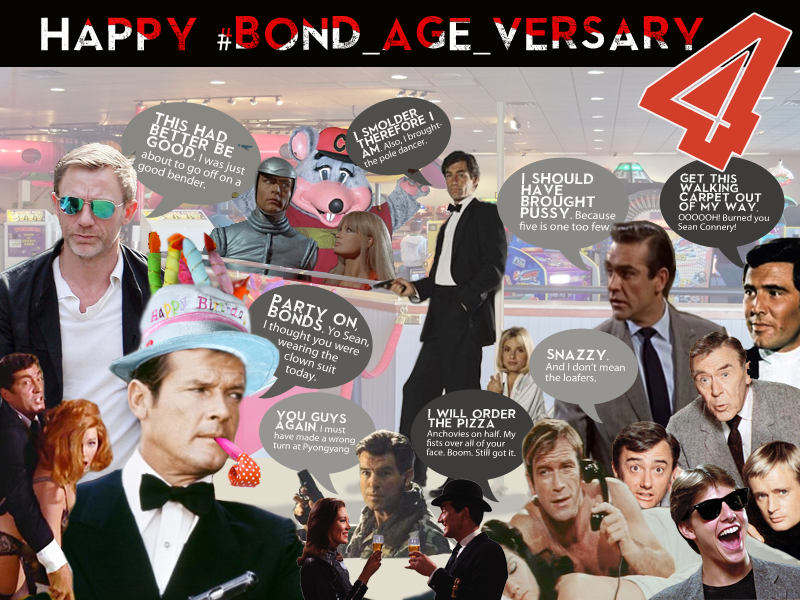 #Bond_age_ turns 4! It’s the #Bond_age_versary! To celebrate the special occasion we’re finally live tweeting Spectre! I know that probably seems counterintuitive considering my opinions about the film. After all, they’ve been well documented here and here and here and here. One official #Bond_age_ essay, a review, and two podcasts. That’s a whole lot of anti-Spectre material I’ve put out into the world. And that’s not even counting my anti-Sam Smith maniacal ravings. In a way, Spectre‘s been a gift to #Bond_age_. That “way” is backwards and convoluted and only makes sense in the world of online riffing, but it’s true. We’d become complacent here at #Bond_age_. The Craig era has offered us — and opinions will differ, of course — one truly great and two solid entries into the 24-film canon. Even if you’re in an anti-Craig, Quantum, or Skyfall camp, you have to admit that there’s very little truly great fodder in that film for mockery or bemusement. There’s certainly no “These bubbles tickle my Tchaikovsky!” moments. This brings us to Spectre, a veritable cornucopia of missteps and narrative stupidity. Some may have been entertained, but entertained or not, I charge you with pointing out the film’s flaws and admitting to the world that shooting down a helicopter with a pee-shooter pistol from a speedboat is dumb. It’s just dumb! I love to hate Spectre. And now we all get the chance to spew our affection and/or #facepalm and/or hatred onto the Interwebs with reckless abandon. I return to the notion that Spectre is a gift, not a curse. Though, perhaps it is both. The last couple months at #Bond_age_ have brought our little live tweet organization some hardships. The #Bond_age_ family has had its share of loss and disappointment in 2016. As a result of some of these life interruptions and challenges, we’ve dropped from three hosts to one. The hosting duties have fallen squarely on me… and there have been some unfortunate gaps in programming as I’ve tried to keep up. So that brings me to the heart-to-heart portion of this post. After #Bond_age_versary 4, I’ve considered hanging up the #Bond_age_ tuxedo. I pour so much of my time into this particular endeavor that many other things have suffered. In 2012, I fancied #Bond_age_ a brief 23-week respite from my then labored fiction-writing process. I’d worked on a novel for a year and I felt angry and frustrated. The #Bond_age_ exercise turned into a 100,000 word manuscript and 200+ weeks later, here we are. We’ve live tweeted all Bond films at least three times (except Spectre, of course). 40+ Bond imposters. Selections from many of our favorite TV shows including The Man from U.N.C.L.E., Remington Steele and The Avengers. The entire series of The Prisoner. Plus some odds and ends. I don’t know if this counts as an “accomplishment” per say, but it feels like something. #Bond_age_ has forged many new friendships — many of which extend beyond the realm of the online sphere. I’m grateful for each and every person that’s contributed to #Bond_age_ through live tweets and My Favorite #Bond_age_ writeups and even offhand conversations on Twitter. #Bond_age_ is #Bond_age_ because of you. I just keep the lights on. 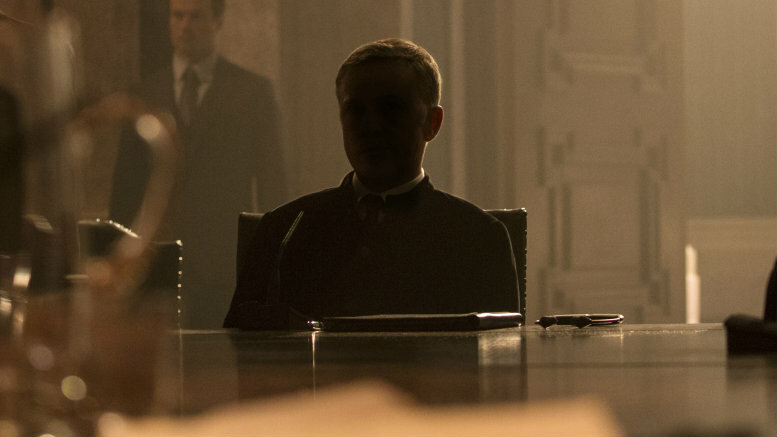 …with the live tweet of Spectre, for all the goddamn marbles. 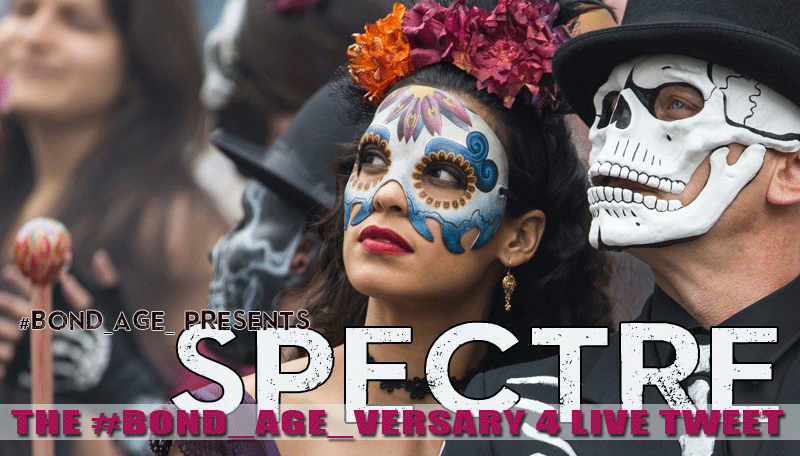 We live tweet SPECTRE, on Wednesday December 7th @ 9pm ET. Follow #Bond_age_ hashtag.